Erected by Washburn Street Cemetery. Location. 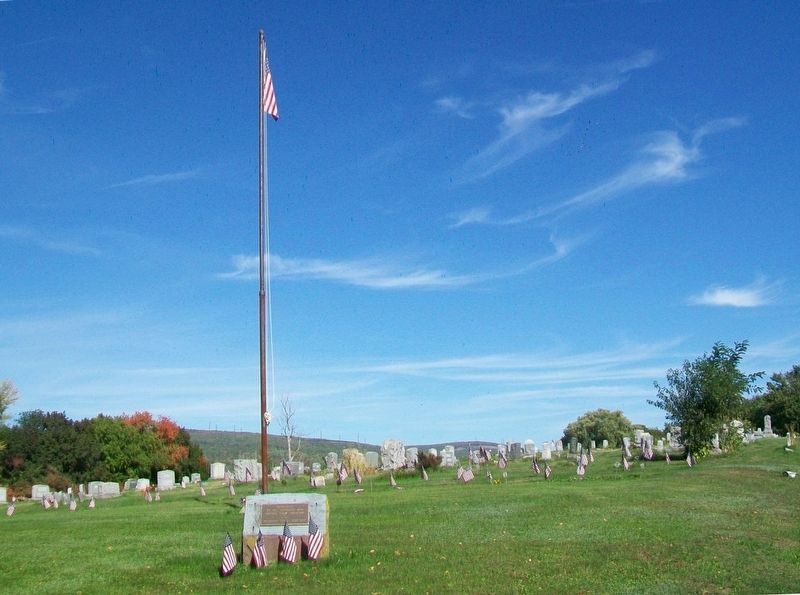 41° 24.872′ N, 75° 41.675′ W. Marker is in Scranton, Pennsylvania, in Lackawanna County. Touch for map. Monument is in Washburn Street (AKA Hyde Park) Cemetery, about 800 feet WSW of the cemetery entrance at Washburn Street and Morris Avenue. Marker is in this post office area: Scranton PA 18504, United States of America. Touch for directions. Other nearby markers. At least 8 other markers are within 2 miles of this marker, measured as the crow flies. Avondale Mine Disaster (approx. 0.2 miles away); Rev. William Bishop (approx. 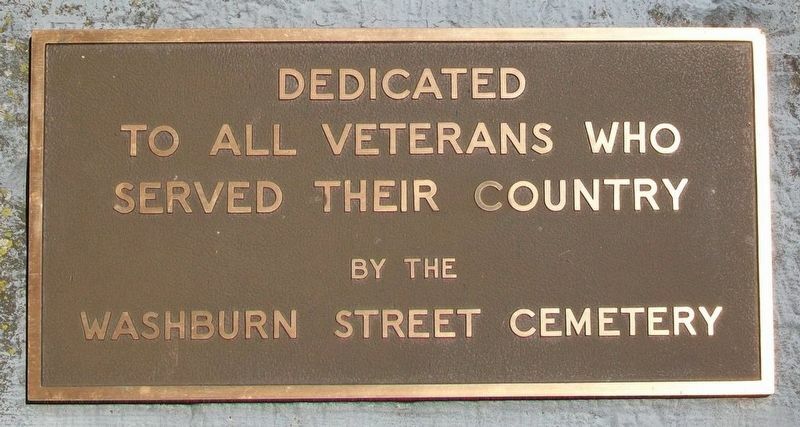 0.8 miles away); a different marker also named Veterans Memorial (approx. 0.8 miles away); The Bivouac of the Dead (approx. one mile away); A Tribute to Anthracite Coal Miners (approx. one mile away); The Loading and Supply Dock (approx. 1.1 miles away); Terence V. Powderly (approx. 1.1 miles away); Right Reverend William O'Hara, D.D. (approx. 1.1 miles away). Touch for a list and map of all markers in Scranton. Credits. This page was last revised on October 25, 2016. This page originally submitted on October 25, 2016, by William Fischer, Jr. of Scranton, Pennsylvania. This page has been viewed 176 times since then and 3 times this year. Photos: 1, 2. submitted on October 25, 2016, by William Fischer, Jr. of Scranton, Pennsylvania.